Tomatin distillery release Batch 1 of new 36 year old whisky. 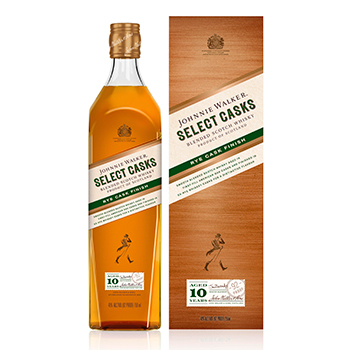 Diageo has u nveiled a new limited edition Johnnie Walker Select Casks series that will launch in September starting with Rye Cask Finish. The inaugural expression will form part of a collection of limited edition blends that will be released over the next few years, with each variant featuring a different wood finish. The Rye Cask Finish starts with Cardhu Single Malt and several grain whiskies that form the core of the blend. It has been aged for 10 years in first-fill American oak casks that previously aged Bourbon, before finishing for six months in American rye casks to give “rich layers of flavour with hints of spice and vanilla”. “From the early days when John Walker first blended whiskies in 1820 to the unique blends created today, Johnnie Walker has always thrived on experimentation,” commented master blender Jim Beveridge. “I believe that whisky is ever evolving and experimental in nature and I am pleased to present the first rye cask finished blended Scotch whisky. Johnnie Walker Select Casks Rye Cask Finish is bottled at 46% abv and will be available from September 2015 in fine wine and spirit stores and bars throughout the US at an RRP of US$45 per 750ml bottle. In other Johnnie Walker news, earlier this week Johnnie Walker Red Label launched three moustache waxes to “intensify” the flavour of its Johnnie and ginger serve.